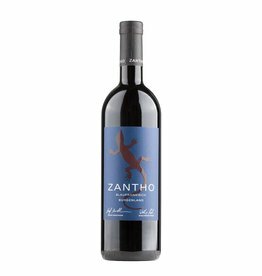 ZANTHO is a cooperation between the top winemaker Josef Umathum, the oenologist Wolfgang Peck and the winery Cellar Andau in Burgenland. Since the year 2001, the Zantho series of traditional grape varieties of Burgenland is produced and the distinctive label with the lizard has quickly become a well-known brand. The focus is on the red grapes Blaufränkisch, St. Laurent and Zweigelt, which are made with state-of-the-art technology and know-how to provide easy drinking with their soft and round style.